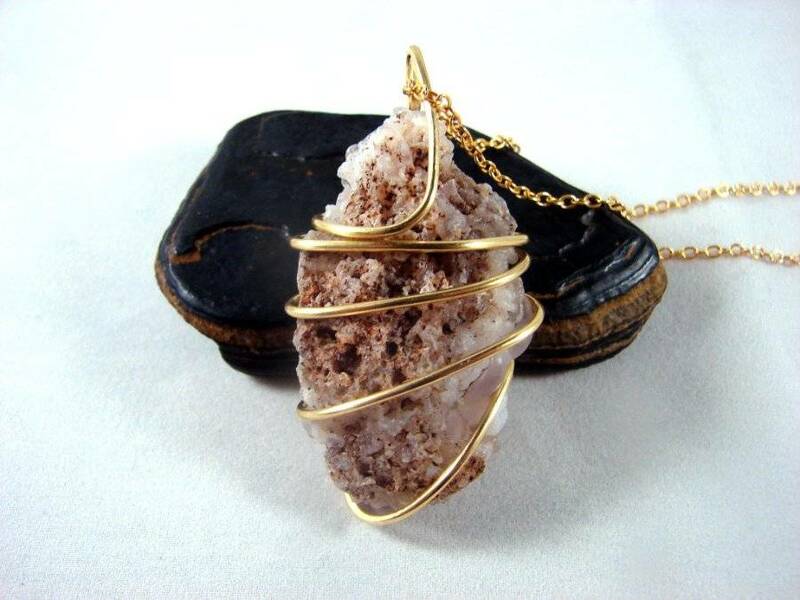 The pendant was made utilizing the ancient art of forging and wrapping wire snugly around a stone. Pendant's Measurements: This pendant is 2.3" in length x 1.2" inch wide. This Desert Rose is from Arizona and is a rare specimen from an older collection of at least thirty years ago. 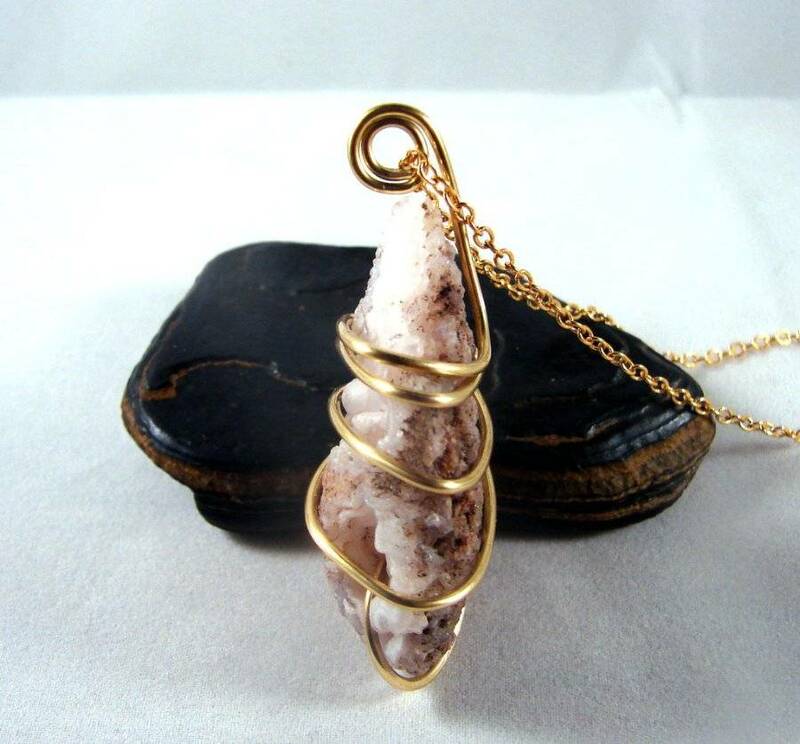 Desert Rose is a sacred stone of the Native American Indians, promoting stability within the ceremonial activities of the tribes. 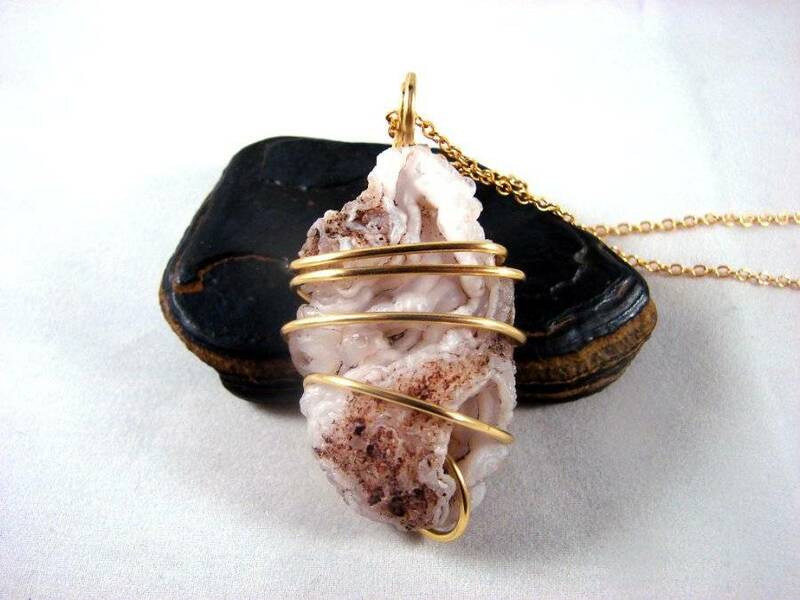 Desert Rose Chalcedony is useful for balancing the energy of the body, mind, emotions, and spirit. It is a stone to encourage 'brotherhood' among all. 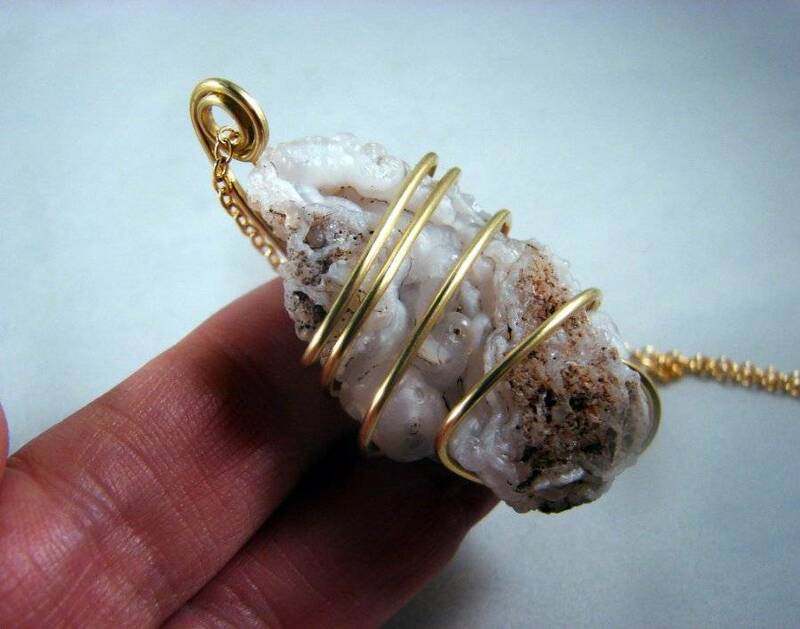 It symbolizes benevolence and good will, the benevolence stemming from the nurturing energy within the stone. It alleviates hostilities, irritability and melancholy. It enhances generosity, responsiveness, and receptivity." From Love Is In The Earth, by Melody.